These prices are in U.S. dollars, and apply to orders placed directly with Avtech from the United States, Canada, and certain other countries. Local resellers may have different pricing. Click here for price list terms, shipping methods, warranty and repair information, and information about pricing for delivery to other countries. Please see the bottom of this page for a summary of recent revisions. Recent price changes are noted with an asterisk. -AC00, Power cord for United Kingdom, Hong Kong, Singapore, Malaysia $0 BS 1363, 230V, 50 Hz. -AC01, Power cord for Australia, New Zealand $0 AS 3112:2000, 230-240V, 50 Hz. -AC02, Power cord for Continental Europe, Korea, Indonesia, Russia $0 CEE 7/7 Schuko, 230V, 50 Hz. -AC03, Power cord for North America, Taiwan $0 NEMA 5-15, 120V, 60 Hz. -AC06, Power cord for Switzerland $0 SEV 1011, 230V, 50 Hz. -AC17, Power cord for South Africa, India $0 SABS 164-1, 220-250V, 50 Hz. -AC18, Power cord for Japan $0 JIS 8303, 100V, 50-60 Hz. -AC19, Power cord for Israel $0 SI 32, 220V, 50 Hz. -AC22, Power cord for China $0 GB 1002-1, 220V, 50 Hz. -ATA3, ATA shipping case $898 Ships the instrument in a heavy-duty ATA-style transport case, instead of the normal cardboard box. It can also serve as a storage case. This option is recommended for shipments outside of North America and Europe, and is mandatory when using a freight-forwarder or when shipping by any method other than FedEx/UPS. It is strongly recommended for all shipments to China. Pelican model 1690 for full-rack-width (17 inch / 430 mm) units, including all -B units. Pelican model 1610 for half-rack-width (8.5 inch / 215 mm) units. This option increases the shipping weight by 45 lbs / 20 kg (1690) or 24 lbs / 11 kg (1610). -ID1, Provide an installed IUID-format label $0 Label only. Does not include data registration. Records the manufacturer CAGE code, the instrument serial number, and the model number. -R5, Rack Mount Kit $298* For 17-inch-wide models only. Check datasheet for instrument dimensions. (All -B units are 17 inches). -OS, DC offset $998 For -P and -N models. -OS, DC offset $1898 For -PN models. -PW1, Extended maximum pulse width (20 us) $1539 For AV-107C-B only. -AK3, Recommended accessory kit (red/black cables and adapters) $413 Red/Black cable kit for connection to the user-supplied DC power supply. -AK9, Recommended accessory kit (AV-HLZ1-100 cable and cable-to-post adapter) $944 Recommended cable kit for the output. -R6, Rack Mount Kit $298 For "3U" height instruments only. -D, Dual channel option $3794 For AV-110A-PS, AV-110D-PS, and AV-110J-PS only. -INV, Switchable inverting / non-inverting modes $998 Adds an inverting mode, in addition to the standard non-inverting mode. -Z50, 50 Ohm input impedance $0 Reduces the standard 1 kilohm input impedance. 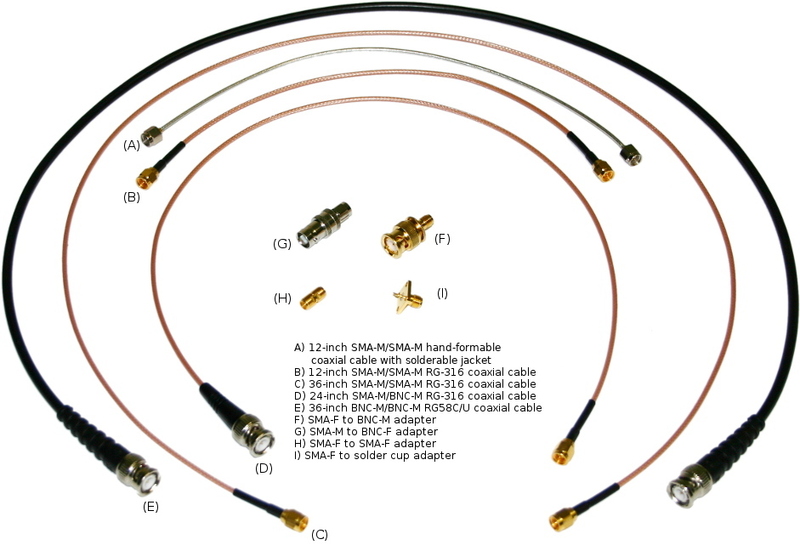 -AK8, Accessory kit (adapters and short coaxial cables) $348 Consists of one 12-inch SMA-M/SMA-M hand-formable coaxial cable with solderable jacket, one 12-inch SMA-M/SMA-M RG-316 coaxial cable, one 36-inch SMA-M/SMA-M RG-316 coaxial cable, one 24-inch SMA-M/BNC-M RG-316 coaxial cable, one 36-inch BNC-M/BNC-M RG58C/U coaxial cable, one SMA-F to BNC-M adapter, one SMA-M to BNC-F adapter, one SMA-F to SMA-F adapter, and one SMA-F to solder cup adapter. 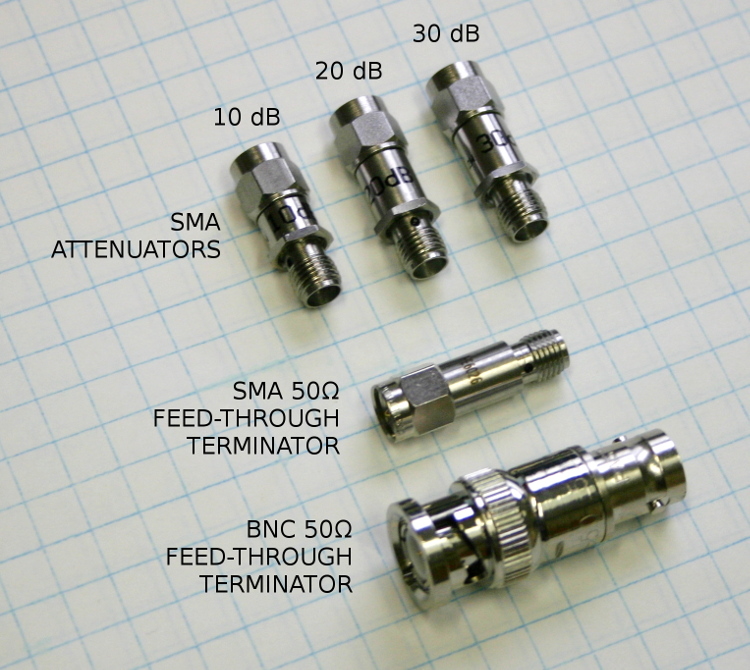 -AK7, Accessory kit (attenuators and terminators) $887 Consists of one SMA 12 GHz 20 Watt attenuator (20 dB) and two SMA 18 GHz 2 Watt attenuators (both 20 dB) for use on the output, and two 50 Ohm, 1 GHz, 1 Watt feed-through terminators (one SMA, one BNC) for use on external trigger inputs. 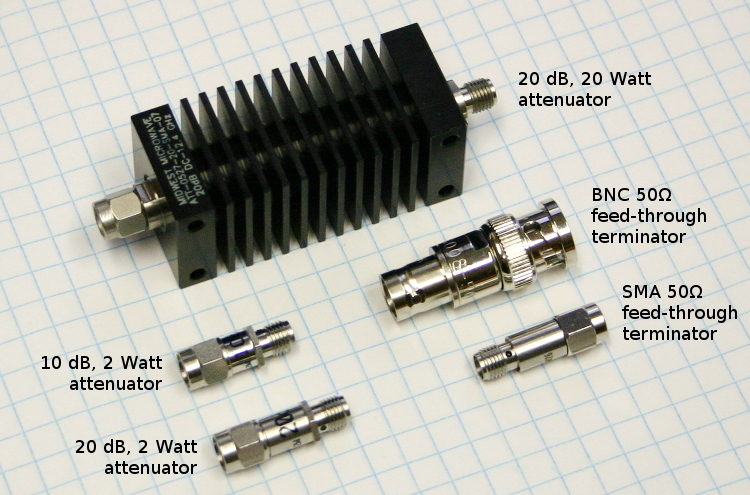 -AK2, Accessory kit (attenuators and terminators) $887 Consists of one SMA 12 GHz 20 Watt attenuator (20 dB) and two SMA 18 GHz 2 Watt attenuators (10 & 20 dB) for use on the output, and two 50 Ohm, 1 GHz, 1 Watt feed-through terminators (one SMA, one BNC) for use on external trigger inputs. -M, Monitor output $498 The monitor output provides an attenuated replica of the voltage on the main output, for largely non-invasive waveform measurements. -OS, Bias tee circuit for externally-generated DC offset $698 For units with 100ns maximum PW (AVMP-2, AVMP-3). -OS, Bias tee circuit for externally-generated DC offset $1998 For units with 1us maximum PW (AVMP-2A, AVMP-3A). -OT, Bias tee circuit for internally or externally generated DC offset $2298 For units with 1us maximum PW (AVMP-2A, AVMP-3A). -OT, Bias tee circuit for internally or externally generated DC offset $998 For units with 100ns maximum PW (AVMP-2, AVMP-3). -CLZ, Alternative output connector arrangement (CLZ style) $1074 The output is provided on a DB-9 male connector, suitable for use with the Avtech AV-CLZ11 series of low impedance cables. Includes one AV-CLZ11-100 cable and one AV-CTLX DB-9-to-PCB adapter. The cable must be terminated by a user-supplied 11-13 Ohm resistance (or resistance in series with a diode). -S3, Diode socket mounting option. $1017 Customer must supply socket specifications. -M, Monitor output $598 The monitor output provides an attenuated replica of the voltage on the main output, for largely non-invasive waveform measurements. -S, Diode socket mounting option $1017 Customer must supply socket specifications. -SMA, SMA output connector on output module $298 Replaces the standard solder terminal outputs. -AT, Ten turn amplitude control $91 Replaces the standard one-turn amplitude dial with a ten-turn dial. -P0, Socket for 3-pin 5.6mm or 9mm package with 2.54mm pin circle diameter (generic). $0 Estimated price only. Contact Avtech with the package's mechanical drawings and pinout information. -P0C, Socket for 2-pin 5.6mm or 9mm package with 2.54mm pin circle diameter. $0 Specifies this common diode configuration: The socket will accept a 2-pin 5.6mm or 9mm package, with a 2.54mm pin spacing and pin diameters of 0.38-0.56 mm diameter (15-22 mils). The positive pulse signal will be applied to the anode pin. The cathode pin will be grounded. The diode parasitic resistance (dV/dI at lasing) must be < 5 Ohm. No additional drawings are required if this option is specified. Must be ordered with positive (-P) polarity. -P0D, Socket for 2-4 pin 5.6mm or 9mm package with 2.54mm pin circle diameter. $0 Specifies this common diode configuration: The socket will accept a 2, 3 or 4 pin 5.6mm or 9mm package with a 2.54mm pin circle diameter. Four pin sockets are provided, which accept pins of 0.38-0.56 mm diameter (15-22 mils). A positive pulse signal will be applied to one pin socket (for the anode). The other three pin sockets (one of which will be the cathode) will be grounded. The diode parasitic resistance (dV/dI at lasing) must be < 5 Ohm. No additional drawings are required if this option is specified. Must be ordered with positive (-P) polarity. -P1, Socket for butterfly package (generic). $708 Estimated price only. Contact Avtech with the package's mechanical drawings and pinout information. -P1B, Primary socket for butterfly package pins 8-14 (high-bandwidth drive pins), specific layout $708 Specifies this common diode configuration (typical of Lumics diodes, and others): The socket will accept pins 8-14 of a standard butterfly package with 0.5 mm wide pins. A positive pulse will be applied to the diode anode (pin 10). Pins 8-9 and 11-13 will be grounded. Pin 14 will be made accessible through a solder terminal. (If the -T1B option is also ordered, pin 14 will be made accessible through a DB-9 connector instead, suitable for mating to a third-party temperature controller.) Four mounting holes on a 8.9 x 26 mm grid will be provided, on a support plate 5.5 mm below the pins (for lower height packages, order a -SPC spacer option). The diode parasitic resistance (dV/dI at lasing) must be < 1 Ohm. No additional drawings are required if this option is specified. Typically ordered in combination with the -T1B option. Must be ordered with positive (-P) polarity. -P1C, Primary socket for butterfly package pins 8-14 (high-bandwidth drive pins), specific layout $708 Specifies this common diode configuration (typical of QPhotonics diodes, and others): The socket will accept pins 8-14 of a standard butterfly package with 0.5 mm wide pins. A negative pulse will be applied to the diode cathode (pin 12). Pins 8-11 and 13-14 will be grounded. Four mounting holes on a 8.9 x 26 mm grid will be provided, on a support plate 5.5 mm below the pins (for lower height packages, order a -SPC spacer option). The laser input impedance (dV/dI at lasing) must be 25 Ohms (+/- 5 Ohms). No additional drawings are required if this option is specified. Typically ordered in combination with the -T1C option. Must be ordered with negative (-N) polarity. -P1CR0, Primary socket for butterfly package pins 8-14 (high-bandwidth drive pins), specific layout $708 Specifies this common diode configuration (typical of some EM4 diodes, and others): The socket will accept pins 8-14 of a standard butterfly package with 0.5 mm wide pins. A negative pulse will be applied to the diode cathode (pin 12). Pins 8-11 and 13-14 will be grounded. Four mounting holes on a 8.9 x 26 mm grid will be provided, on a support plate 5.5 mm below the pins (for lower height packages, order a -SPC spacer option). The laser input impedance (dV/dI at lasing) must be less than 5 Ohms. No additional drawings are required if this option is specified. Typically ordered in combination with the -T1C option. Must be ordered with negative (-N) polarity. This is the same as the -P1C option, except that the diode has no internal 25 Ohm resistance. -P2, Socket for 3-pin 5.6mm package with 2.0mm pin circle diameter (generic). $0 Estimated price only. Contact Avtech with the package's mechanical drawings and pinout information. -P2B, Socket for 3-pin 5.6mm package, with typical Nichia pinout / resistance. $0 Estimated price only. This specifies a pinout and series resistance compatible with the Nichia NDHV310APC and similar Nichia laser diodes. A socket is provided that will accept 3-pin 5.6 mm packages. Click on the hyperlink for a pinout drawing. The laser anode is on pin 1, and the laser cathode is on pin 3 and is common to the photodiode cathode and the case. Access to pin 2 (the photodiode anode) is not provided. No additional drawings are required if this option is specified. The laser input impedance (dV/dI at lasing) must be 20 Ohms (+/- 5 Ohms). Note that the maximum output current may be reduced by the high forward voltage drop typical of Nichia diodes (if > 3V). -P2C, Socket for 2-pin 5.6mm package with 2.0mm pin circle diameter. $0 Specifies this common diode configuration: The socket will accept a 2-pin 5.6mm package, with a 2.0mm pin spacing and pin diameters of 0.38-0.56 mm diameter (15-22 mils). The positive pulse signal will be applied to the anode pin. The cathode pin will be grounded. The diode parasitic resistance (dV/dI at lasing) must be < 5 Ohm. No additional drawings are required if this option is specified. Must be ordered with positive (-P) polarity. -P2D, Socket for 2-4 pin 5.6mm package with 2.0mm pin circle diameter. $0 Specifies this common diode configuration: The socket will accept a 2, 3 or 4 pin 5.6mm package with a 2.0mm pin circle diameter. Four pin sockets are provided, which accept pins of 0.38-0.56 mm diameter (15-22 mils). A positive pulse signal will be applied to one pin socket (for the anode). The other three pin sockets (one of which will be the cathode) will be grounded. The diode parasitic resistance (dV/dI at lasing) must be < 5 Ohm. No additional drawings are required if this option is specified. Must be ordered with positive (-P) polarity. -P3, Socket for 8-pin DIP package (generic). $708 Estimated price only. Contact Avtech with the package's mechanical drawings and pinout information. -P4, Socket for 14-pin DIL package (generic). $1138 Estimated price only. Contact Avtech with the package's mechanical drawings and pinout information. -P4B, Socket for 14-pin DIL package, specific layout. $1138 Provides a socket pinout suitable for use with certain Qphotonics DIL laser diodes (and others). The signal will be applied to pin 5, the laser anode. All other pins (1-4, 6-14) will normally be grounded. No access is provided to the thermal control pins, unless the -T4B option is ordered. The laser input impedance (dV/dI at lasing) must be between 0 and 5 Ohms. -P5, Socket for 2-pin package with 2.5mm lead spacing and 0.5mm square pins $0 Estimated price only. Contact Avtech with the package's mechanical drawings and pinout information. -P6, No output module or socket $0 For connectorized DUTs with SMA or K input connector and 50 Ohm input impedance. The user must confirm that the pulser polarity is appropriate for the DUT. Not suitable for models that require a transformer ratio greater than 1. -P7, Socket for 8-pin TO-99 package $1138 The socket will accept 8-pin TO-99 packages. The signal will be applied to one pin. All other pins will be grounded. The diode parasitic resistance (dV/dI at lasing) must be < 5 Ohm. No additional drawings are required if this option is specified. -P8A, Socket for 2-pin 5mm epoxy LED package with 2.5mm pin spacing, and 0.5-0.6mm square pins $708 Specifies this common diode configuration: The socket will accept a 2-pin 5mm epoxy LED package with 2.5mm pin spacing, and 0.5-0.6mm square pins. One pin will be driven with the specified polarity, and one pin will be grounded. The diode parasitic resistance (dV/dI at lasing) must be < 1 Ohm. No additional drawings are required if this option is specified. -PWT, Ten turn PW control $91 Replaces the standard one-turn pulse width dial with a ten-turn dial. -T1B, Secondary slide-on socket for butterfly package pins 1-7 (low bandwidth thermal control pins) $789 Adds a secondary (low-bandwidth) slide-on socket board for pins 1-7 of a butterfly package. A flexible cable connects the slide-on socket to the output module. A male DB-9 connector is provided on the output module, which provides access to the thermal control pins of the diode. DB-9 pin 2 connects to diode pin 2 (TH). DB-9 pin 3 connects to diode pin 5 (TH). DB-9 pin 4 connects to diode pin 1 (TEC+). DB-9 pin 5 connects to diode pin 14 (TEC-). The remaining DB-9 pins are unconnected. Pins 3, 4, 6, and 7 of the diode are grounded. Access to the photodiode, if present, is not provided. This option requires the -P1B option. This option is designed for compatibility with Thorlabs temperature controllers and Lumics laser diodes. It may be suitable for others as well. -T1C, Secondary slide-on socket for butterfly package pins 1-7 (low bandwidth thermal control pins) $789 Adds a secondary (low-bandwidth) slide-on socket board for pins 1-7 of a butterfly package. A flexible cable connects the slide-on socket to the output module. A male DB-9 connector is provided on the output module, which provides access to the thermal control pins of the diode. DB-9 pin 2 connects to diode pin 1 (TH). DB-9 pin 3 connects to diode pin 2 (TH). DB-9 pin 4 connects to diode pin 6 (TEC+). DB-9 pin 5 connects to diode pin 7 (TEC-). The remaining DB-9 pins are unconnected. Pins 4 and 5 of the diode are grounded. Pin 3 is unconnected. Access to the photodiode, if present, is not provided. This option requires the -P1C or -P1CR0 option. This option is designed for compatibility with Thorlabs temperature controllers and certain QPhotonics laser diodes. It may be suitable for others as well. -T4B, Thermal control pin access for DIL package. $1363 A male DB-9 connector is provided on the output module, which provides access to the thermal control pins of the DIL-package diode. DB-9 pin 2 connects to diode pin 11 (TH). DB-9 pin 3 connects to diode pin 12 (TH). DB-9 pin 4 connects to diode pin 1 (TEC+). DB-9 pin 5 connects to diode pin 14 (TEC-). The remaining DB-9 pins are unconnected. Pins 2-4 and 6-10 of the diode are grounded. Access to the photodiode, if present, is not provided. This option requires the -P4B option. This option is designed for compatibility with Thorlabs temperature controllers and Qphotonics laser diodes. It may be suitable for others as well. -TO3, Socket for TO-3 package (generic). $1363 Estimated price only, for an 8-pin TO3 package with 1.02mm pins on a 12.7mm pin circle diameter, spaced 40 degrees apart. Contact Avtech with the package's exact mechanical drawings and pinout information. -TO66, Socket for TO-66 package (generic). $1363 Estimated price only, for a 9-pin TO66 package with 0.75mm pins on a 8.26mm pin circle diameter, spaced 36 degrees apart. Contact Avtech with the package's exact mechanical drawings and pinout information. -R6, Rack Mount Kit $298* For "3U" height instruments only. -EO, Internally generated offset option, electronic control (analog) $1198 The "-EO" option includes the "-OT" function. -PN, Dual polarity $2998 For -1S, -2SA, -3SA units. -M, Monitor output $1098 The monitor output provides an attenuated replica of the voltage on the main output, for largely non-invasive waveform measurements. -OS, Bias tee circuit for externally-generated DC offset $698 For units with 100ns maximum PW (AVPP-1, AVPP-2). -OS, Bias tee circuit for externally-generated DC offset $1998 For units with 1us maximum PW (AVPP-1A, AVPP-2A). -OT, Bias tee circuit for internally or externally generated DC offset $2298 For units with 1us maximum PW (AVPP-1A, AVPP-2A). -OT, Bias tee circuit for internally or externally generated DC offset $998 For units with 100ns maximum PW (AVPP-1, AVPP-2). AVR-3-PW-TEK2-B, High Voltage Pulser $12498 The newer AVR-3-PW-TEK2-B and AVR-3-PW-TEK3-B models are recommended as enhanced replacements for the AVR-3-PW-TEK2-C model. AVR-3-PW-TEK2-C, High Voltage Pulser $8998 The newer AVR-3-PW-TEK2-B and AVR-3-PW-TEK3-B models are recommended as enhanced replacements for the AVR-3-PW-TEK2-C model. AVR-3-PW-TEK3-B, High Voltage Pulser $14298 The newer AVR-3-PW-TEK2-B and AVR-3-PW-TEK3-B models are recommended as enhanced replacements for the AVR-3-PW-TEK2-C model. -ADPT1, Adapter Kit $471 Adapter kit, consisting of one SHV PLUG to MHV FEMALE adapter, and one MHV MALE to BNC FEMALE adapter. AVX-CD1-AANB, Test Jig Daughterboard $498 Daughterboard for holding axial packages using spring pins. AVX-CD1-ARIES, Test Jig Daughterboard $3498 Daughterboard for holding axial and SQMELF packages using a replaceable Aries 9890-122-23 combo socket. AVX-CD1-SQMELF, Test Jig Daughterboard $498 Daughterboard for holding SQMELF packages using spring pins. -SOA, Extended amplitude range $1000 Increases CH A maximum amplitude from 30V to 40V. -TRF, Faster 1 ns CH A rise time $998 Not available with the -SOA option. AVR-EB2A-B, Semiconductor Test Pulser $14498* Includes one AVX-CA-AXPOST test jig, unless otherwise specified. AVR-EB4-B, Semiconductor Test Pulser $14498 Includes one AVX-TRR-MIX test jig, unless otherwise specified. AVR-EB5-B, Semiconductor Test Pulser $14498 Includes one AVX-TRR-MIX test jig, unless otherwise specified. AVR-EB7-B, Semiconductor Test Pulser $14498 Includes one AVX-TRR-MIX test jig, unless otherwise specified. AVR-EBF10-B, Semiconductor Test Pulser $14498 Includes one AVX-TFR-HPOST test jig, unless otherwise specified. AVR-EBF6-B, Semiconductor Test Pulser $14498 Includes one AVX-TFR-MIX test jig, unless otherwise specified. Also includes one AVX-FILT-10NS rise time filter. AVR-EBF8-B, Semiconductor Test Pulser $14498 Includes one AVX-TFR-MIX test jig, unless otherwise specified. Also includes one AVX-FILT-10NS rise time filter. AVX-CA, Reverse Recovery Test Jig $2098 For use with the AVR-EB2A-B. Configured with -AXPOST option unless otherwise specified. AVX-TFR, Forward Recovery Test Jig $2098 For the AVR-EBF6-B forward recovery test systems. Configured with -MIX option unless otherwise specified. AVX-TRR, Reverse Recovery Test Jig $2098 For the AVR-EB4, -EB5, and -EB7 reverse recovery test systems. Configured with -MIX option unless otherwise specified. -AR1, Axial/SQMELF combo jig $3498* Axial / square MELF jig with customized Aries 9890-122-23 socket. Accepts Microsemi "Type E" axial packages (used in the 1N5418 and other devices), Generic DO-41 packages (used in the 1N5819 and other devices), Microsemi Type A square MELF, also called D-5A (for example, 1N5806US), Microsemi Type B square MELF, also called D-5D (for example, 1N6701US), and Microsemi Type E square MELF, also called D-5B (for example, 1N5811US). -AXPOST, Axial no-bend test jig $0* Suitable for low-to-medium current reverse recovery tests. Replaces earlier -ANB design. -CK1, Extra cable kit for AVX-TRR jigs $228 Cables are normally supplied with the pulse generator. This kit provides an extra set of cables, including: One 2m DB9 control cable, Two 60cm BNC-to-SMA coaxial cables, One 5m BNC-to-SMA coaxial cable. -CK2, Extra cable kit for AVX-TFR jigs $228 Cables are normally supplied with the pulse generator. This kit provides an extra set of cables, including: One 2m DB9 control cable, Three 60cm SMA-to-BNC coaxial cables, One 30 cm SMA-to-SMA coaxial cable. -DIPFP, Alternative DIP and mil-style flat pack jig $14998* For DIP and flat-pack packages. -F12NS, 12 ns rise time filter accessory $1397 This is in addition to the 10 ns rise time filter that is included as a standard feature. -F20NS, 20 ns rise time filter accessory $1397 This is in addition to the 10 ns rise time filter that is included as a standard feature. -F8NS, 8 ns rise time filter accessory $1397 This is in addition to the 10 ns rise time filter that is included as a standard feature. -HPOST, High-current low-inductance axial test jig $0* Suitable for low-to-high current reverse recovery tests, and forward recovery tests. Replaces earlier -ANB design. -LORAX, Loranger socket for axial devices $0* Uses a Loranger 03186 021 6215 socket for the DUT. Only suitable for reverse recovery tests due to relatively high inductance. -MIX, MIX jig, with a variety of pin sockets $0* Provides a mix of pin sockets to accept leaded devices. Leading bending required. -SQMELF, SQMELF jig $0* Accepts SQMELF packages. Replaces earlier -MELF design. -STUD, Alternative stud jig $0* Accepts DO-4 and DO-5 stud packages. -TO254AA, Alternative TO-254AA jig $0* Accepts TO254AA packages. -UB, UB jig $1598* Accepts MIL-STD UB packages. -UMC, UMC jig $1598* Accepts Semicoa UMC packages. -M, Monitor output $798 The monitor output provides an attenuated replica of the voltage on the main output, for largely non-invasive waveform measurements. -ADPT1, Adapter Kit $471 Adapter kit, consisting of an SHV PLUG to MHV FEMALE adapter, and an MHV MALE to BNC FEMALE adapter. -AHV, Finer Amplitude Control $1698* + or -, 1.0 to 1.5 kV, in ≤ 1V steps. No change in rise time specification. -FPD, Front Panel DUT Area $1498* Moves the DUT area (with hinged door) and HV PULSE connector from the rear panel to the front panel, for more convenient access. The overall height of the instrument is increased (from 3U to 5U in rack units) to accommodate the change. The DUT area is in the lower 3U, and the instrument controls are in the upper 2U. Must be ordered with the -ATA3 option for safe shipping. -SCHB, Extended VCC2 Range $498 Boosts the maximum VCC2 setting from +8V to +43V. -SO8, SO-8 daughterboards $1004* Provides 32 additional unpopulated (bare) daughterboards, suitable for use with standard SO-8 packages. The pinout and wiring will be the same as for the standard daughterboards described in the manual. The user will need to solder the devices directly to the PCB, limiting the number of times that each PCB and device can be used. CAM files will be provided, so that the user may produce additional daughterboards as required. -TLP, TLP702 daughterboards $1004* Provides 32 additional unpopulated (bare) daughterboards, similar to the standard daughterboards described in the manual, but designed to accept the 6-pin 50mil-pitch SMT package used by the Toshiba TLP702 and similar devices. The user will need to solder the devices directly to the PCB, limiting the number of times that each PCB and device can be used. CAM files will be provided, so that the user may produce additional daughterboards as required. -XHV, Finer Extra-High Amplitude Control $2498* + or -, 1.5 to 2.0 kV, in ≤ 1V steps. The minimum leading edge rise time increases by 5 ns. -INV, Polarity inverting transformer accessory $2370 External accessory that allows generation of negative output amplitudes. Available separately as model AVX-R5. 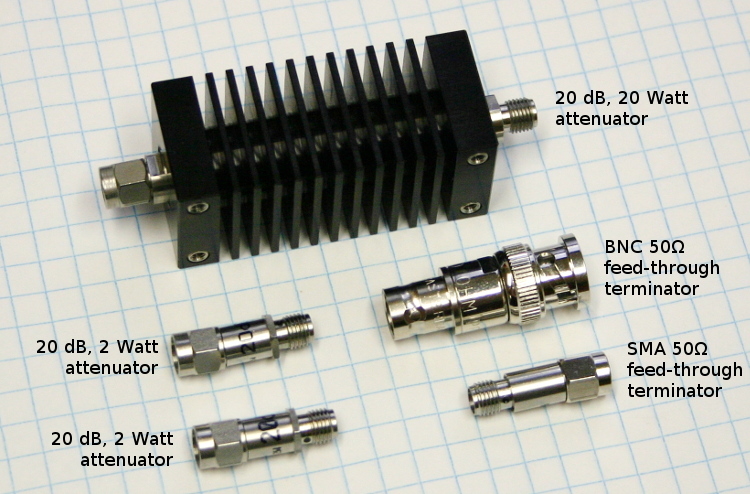 -LVA, Internally-switched attenuators $2998 Adds internally-switched attenuators to allow very low amplitude settings. The amplitude is adjustable from < 0.1V to 500V, in steps of < 0.1V. -PN, Dual polarity (internal control) $4498 Allows generation of negative output amplitudes, without the use of external accessories. -QD, Quick discharge $0 Obsolete option suffix - this function is now included as a standard feature. -MI, Voltage monitor $233 Standard feature on S1 and S2 models, optional on S3 models. -MV, Voltage monitor $233 Standard feature on S1 and S2 models, optional on S3 models. -P0C, Socket for 2-pin 5.6mm or 9mm package with 2.54mm pin circle diameter. $0 Specifies this common diode configuration: The socket will accept a 2-pin 5.6mm or 9mm package, with a 2.54mm pin spacing and pin diameters of 0.38-0.56 mm diameter (15-22 mils). The positive pulse signal will be applied to the anode pin. The cathode pin will be grounded. The diode parasitic resistance (dV/dI at lasing) must be < 5 Ohm. No additional drawings are required if this option is specified. -P0D, Socket for 2-4 pin 5.6mm or 9mm package with 2.54mm pin circle diameter. $0 Specifies this common diode configuration: The socket will accept a 2, 3 or 4 pin 5.6mm or 9mm package with a 2.54mm pin circle diameter. Four pin sockets are provided, which accept pins of 0.38-0.56 mm diameter (15-22 mils). A positive pulse signal will be applied to one pin socket (for the anode). The other three pin sockets (one of which will be the cathode) will be grounded. The diode parasitic resistance (dV/dI at lasing) must be < 5 Ohm. No additional drawings are required if this option is specified. -P1B, Primary socket for butterfly package pins 8-14 (high-bandwidth drive pins), specific layout $708 Specifies this common diode configuration (typical of Lumics diodes, and others): The socket will accept pins 8-14 of a standard butterfly package with 0.5 mm wide pins. A positive pulse will be applied to the diode anode (pin 10). Pins 8-9 and 11-13 will be grounded. Pin 14 will be made accessible through a solder terminal. (If the -T1B option is also ordered, pin 14 will be made accessible through a DB-9 connector instead, suitable for mating to a third-party temperature controller.) Four mounting holes on a 8.9 x 26 mm grid will be provided, on a support plate 5.5 mm below the pins (for lower height packages, order a -SPC spacer option). The diode parasitic resistance (dV/dI at lasing) must be < 1 Ohm. No additional drawings are required if this option is specified. Typically ordered in combination with the -T1B option. -P1C, Primary socket for butterfly package pins 8-14 (high-bandwidth drive pins), specific layout $708 Specifies this common diode configuration (typical of QPhotonics diodes, and others): The socket will accept pins 8-14 of a standard butterfly package with 0.5 mm wide pins. A negative pulse will be applied to the diode cathode (pin 12). Pins 8-11 and 13-14 will be grounded. Four mounting holes on a 8.9 x 26 mm grid will be provided, on a support plate 5.5 mm below the pins (for lower height packages, order a -SPC spacer option). The laser input impedance (dV/dI at lasing) must be 25 Ohms (+/- 5 Ohms). No additional drawings are required if this option is specified. Typically ordered in combination with the -T1C option. -P2C, Socket for 2-pin 5.6mm package with 2.0mm pin circle diameter. $0 Specifies this common diode configuration: The socket will accept a 2-pin 5.6mm package, with a 2.0mm pin spacing and pin diameters of 0.38-0.56 mm diameter (15-22 mils). The positive pulse signal will be applied to the anode pin. The cathode pin will be grounded. The diode parasitic resistance (dV/dI at lasing) must be < 5 Ohm. No additional drawings are required if this option is specified. -P2D, Socket for 2-4 pin 5.6mm package with 2.0mm pin circle diameter. $0 Specifies this common diode configuration: The socket will accept a 2, 3 or 4 pin 5.6mm package with a 2.0mm pin circle diameter. Four pin sockets are provided, which accept pins of 0.38-0.56 mm diameter (15-22 mils). A positive pulse signal will be applied to one pin socket (for the anode). The other three pin sockets (one of which will be the cathode) will be grounded. The diode parasitic resistance (dV/dI at lasing) must be < 5 Ohm. No additional drawings are required if this option is specified. -BLK, Spare black cable from AK3 accessory kit $198 Spare black cable from AK3 accessory kit. -RED, Spare red cable from AK3 accessory kit $198 Spare red cable from AK3 accessory kit. -T, DC offset $200 Incorporates a bias tee on the transformer output, internally. A solder terminal is provided for the DC input. +/- 100 mA maximum. R5, Rack Mount Kit $298 For 2U units. R6, Rack Mount Kit $298 For 3U units. AV-CTL1, Test Load / Adapter $353 For use with the AV-CLZ-1. AV-CTL11, Test Load / Adapter $353 For use with the AV-CLZ-11. AV-CTL12, Test Load / Adapter $353 For use with the AV-CLZ-11. AV-CTL2, Test Load / Adapter $353 For use with the AV-CLZ-2. AV-CTL3, Test Load / Adapter $353 For use with the AV-CLZ-3. AV-CTL4, Test Load / Adapter $353 For use with the AV-CLZ-4. AV-CTL5, Test Load / Adapter $353 For use with the AV-CLZ-5. AV-CTLX, Test Load / Adapter $233 For use with AV-CLZ1, AV-CLZ2, and AV-CLZ3 cables. AV-CTLY, Test Load / Adapter $233 For use with AV-CLZ5 and AV-CLZ11 cables. * The pricing for this family has been updated within the last 60 days. This price list is also available in CSV (comma-separated values) format.